No watermark of string "Trial Version" when logos are saved to image files or printed by using the registered version. How to save my logos to JPG, PNG or other image format files? If you want to save your logo to an image file, need to choose "Save as Image..." menu item from main menu bar. The Windows File Selector dialog is shown with following options and it prompts to choose a folder, enter a new file name or choose a file for saving logo to an image. EximiousSoft Logo Designer supports these file formats for saving as image: jpg, gif, bmp, png, tif,tag,pcx etc.. You can open the saved graphics using any standard picture viewer (e.g. Microsoft Paint, Microsoft Photo Editor, Adobe Photoshop) or email to someone. Scale Output: Set to get enlarged or shrink image of your original logo. JPEG Quality: Only available for saving to JPG files,set by higher value make the saved image with higher quality. Transparent Background: Only available for saving to GIF,PNG files,selected to make the image background is transparent. Trim WhiteSpace: selected to trim whitespace. How to create an attracitve shape or text object for a logo? Logo Deisnger provides many of the visual effects which is used to produce highly visual impact shape grapchis. 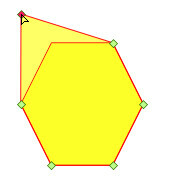 (1) Switch to "Selection" mode if not, then select the shape or text objects which you want to change. (2) Open "Drawing" category in main ribbon bar, then go to "Effects" sub-category. Choose a render effect such as Drop Shadow, Reflection, Outer Glow, Bevel Edge, Texture etc. or combination some of them. Then the selected objects are shown with the render effects. Typically, each effect contains a different set of options, you can give your own settings for them according to your needs. How to add shapes or symbols into my logos? Go to "Shapes" View. If it is not visible, If not, switch to "View" category and make the check box which named Shapes List is selected. Then choose a suitable shape classification from the list. Find a shape which you want to add, click on it to select and then keep left mouse button is down, then drag it into workspace. 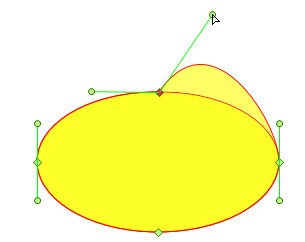 Also Double Click on this shape for adding it to workspace directly and it will be centered in Edit View. Select a shape, drag the pointer across the image frame to draw the shape until the desired size is reached, then release mouse button. How to add a text or an image into my logos? Add Text: Open "Drawing" category and then click "Add Text" tool button on main ribbon bar, a new text object is created and show centerly in Edit view. After that, a dialog box is popups to prompt you for editing the text. Add Image: Open "Drawing" category and then click "Add Image" tool button on main ribbon bar. It opens Windows open dialog which prompts you to select an image file for loading. The multiple objects are allowed to be selected at the same time in Logo Designer.The standard Windows multiple-selection shortcuts of Ctrl+click and Shift+click is supported by the program. Two ways are offered for selecting objects. In Edit View, each visible object is shown as it should be. 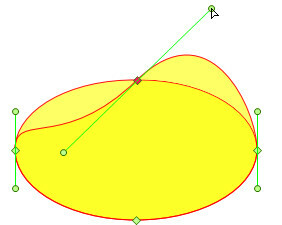 When an object is selected, the handles for rotation and resize the object are shown around it, but none for the unselected one.for example, see following screenshot,The left object is selected, but right one is not. Click: click the left mouse button on the object you want in Edit View, then the previous selected objects become unselected while the clicked one is selected. Click + Shift: press the Shift key and keep it down, click with the left mouse button on the object you want in Edit View, then the clicked object is selected and add it to selected objects list. Click + Ctrl: press the Ctrl key and keep it down, click with the left mouse button on the object you want in Edit View. If the object is selected already, then it will be become unselected, otherwise it is selected after it is clicked. (2) Open "Drawing" category in main ribbon bar, then go to "Arrangement" sub-category. Click "Group" tool button and then choose "Group" sub-menu item. Which group all selected object together so that they are can be treated as a single object. Logo Designer provides two ways to help you to edit texts. (1) If the text object is not selected, you need to select it as flowing: If the appliaction is not running in Select Mode currently, click "Selection Tool" tool button on toolbar to switch. then click the text object you want to change to select it in the edit view. Then right click to popup context menu and choose "Edit Text..." menu item for editing. (2) Double Click on the text object in Edit View directly for editing. (2) Open "Drawing" category. Go to "Fill inside" sub-category then selete a menu item for filling the selected objects; Go to "Stroke Outline" sub-category then selete a menu item for stroking the selected objects. How to create a unique shape by EximiousSoft Logo Designer? Logo Designer offers Custom Shape Tool to draw your own shapes. 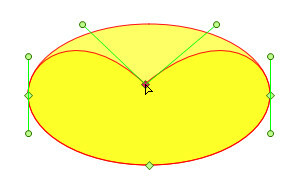 Open "Drawing" category from main ribbon bar, and then click "Custom Shape Tool" tool button. (1) Open "Drawing" category in main ribbon bar,and then click "Add Anchor" tool button. (1) Open "Drawing" category from main ribbon bar,and then click "Delete Anchor" tool button. (1) Open "Drawing" category from main ribbon bar,and then click "Move Anchor" tool button.